Its no secret that oatmeal for breakfast is good for you. But eating bowl after bowl of regular rolled oats can get a little dullz. 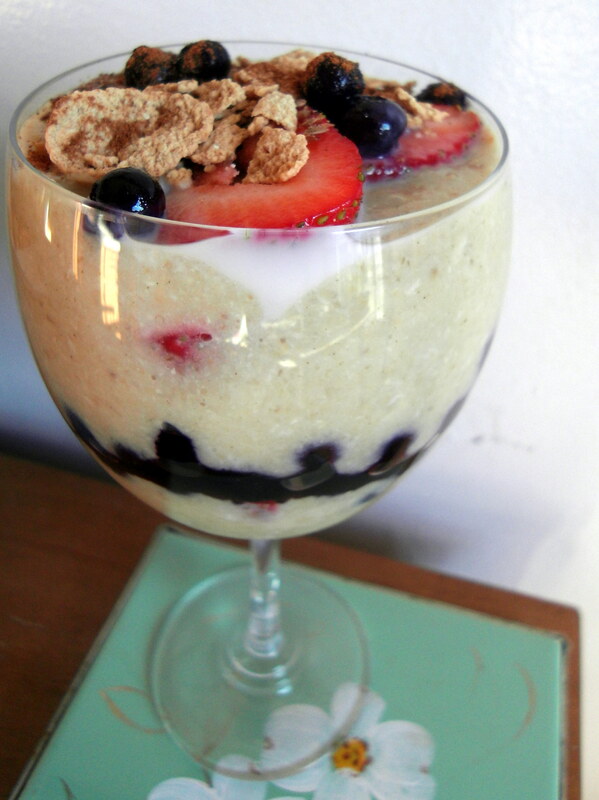 Enter: the oatbran parfait! 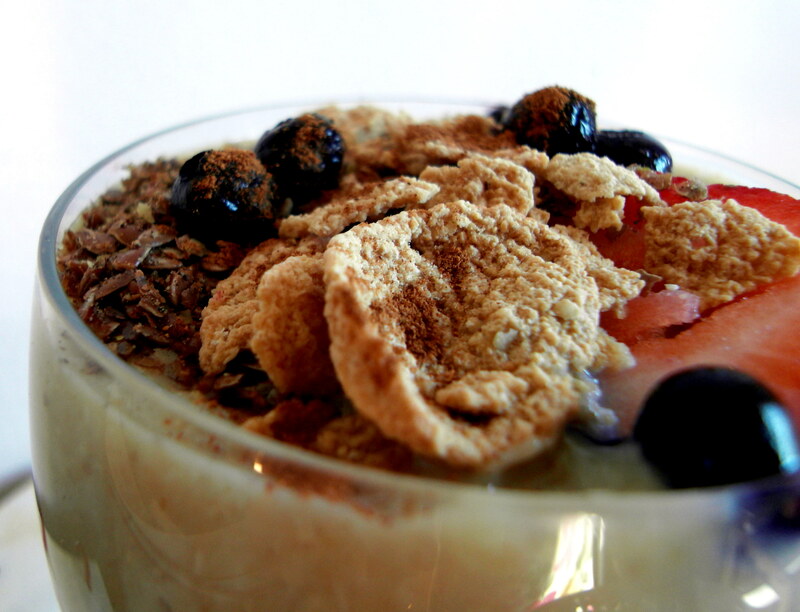 Oatbran has all the same benefits as oatmeal but with a little extra fibre and a much creamier end result. I cook it up with 1/2 water, 1/2 almond milk and egg whites and it always ends up fluffy and delicious. Then I layer it in a tall glass with berries (fresh strawberries are my fave), creamy greek yogurt, flaxseeds, nuts, granola or crunchy cereal for a tasty twist on the classic bowl of oats. Add oats, egg whites or flax egg, milk and water to a medium sized non-stick pot and heat until just boiling. Then reduce heat to very low and slowly simmer until mixture thickens and starts to fluff up, stirring often. I usually end up adding anywhere from 1/2 cup-1 1/2 cups of additional liquid as it cooks to get it to the consistency that I like. Once the oats are cooked and creamy, you can stir in the vanilla and honey/maple syrup/agave. Then find a tall glass and layer up with whatever fruit/nut/cereal toppings you like!